… indeed! Babies are so beautiful. The innocent charm that a baby carries is unmatched and blissful. Though I am unmarried, I am blessed to experience the joy that a child brings to one’s life. When my little nephew Hasnain was born, I was the most happiest person on this planet as he was the first person to officially call me an Aunt, oh how wonderful that feeling was! Then came little Aizah into my life who is a bundle of joy, indeed! And her smile and innocent babbles make my day. To keep their smiles and warmth intact, we must also make sure they are taken care of, properly. With babies, comes a hoard of baby products to envelope their naive essence for years. But, many products that we unknowingly use for the kids contains parabens and are harsh for the little ones. We don’t understand but the effect that these harmful chemical rich products have on a babies skin and body is a matter of concern and to protect their innocent beauty, we need to address these issues well. 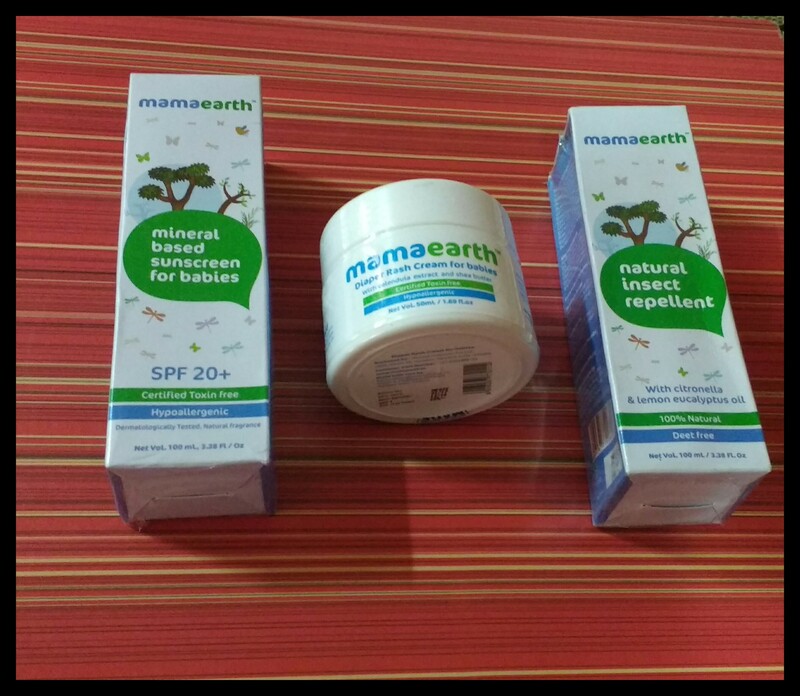 Since quite a few months, I was introduced to Mama Earth Baby Products and when I read about their features, I was content. It provides honest, natural and certified safe products for the little bit of heaven sent down to earth. They are proudly the only Toxin Free MadeSafe certified brand in India. Natural Insect Repellent with citronella, lemon eucalyptus oil. 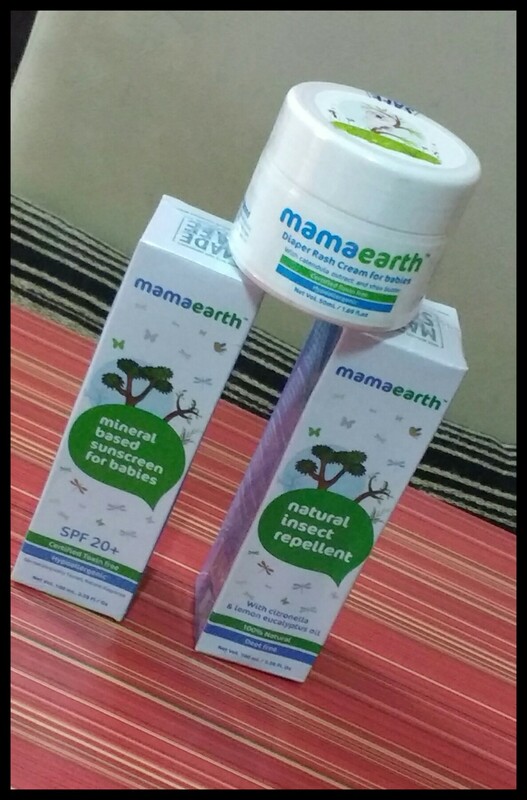 Keep watching this space for more reviews on Mama Earth Products. Next Next post: GolChakkar Saree Hut: A touch of handcraft and elegance!